If yes, then here you go. With the best mobile app development company, you can achieve it with effective mobile app promotion strategies that will help increase app downloads. There is a tremendous amount of competition on both the Apple App Store and the Google Play Store and in the midst of it, convincing your target audience to use your app or how your app is better than others could be quite challenging. For this, I have mentioned below some ways that can help you understand better! By this I mean you need to know your market and your target audience and what it requires. Every app has its own market and if you fail to recognize it, you might miss on a huge opportunity and give your app reasons to fail further. This is the very basic step followed by the best app development companies by getting indulged into the practice of knowing that what your competitors have offered, and what has succeeded in the market before and even the rejection to your competitors. This is really helpful in collecting the idea and strategy that needs to be integrated into your app. When it is about marketing your app, you can’t wait until the end of the project. It needs to work in parallel with your app development. Basically, this is called the pre-app launch marketing. By this, you can leave an impression in the minds of your target audience that what is going to be launched will be fruitful to them. 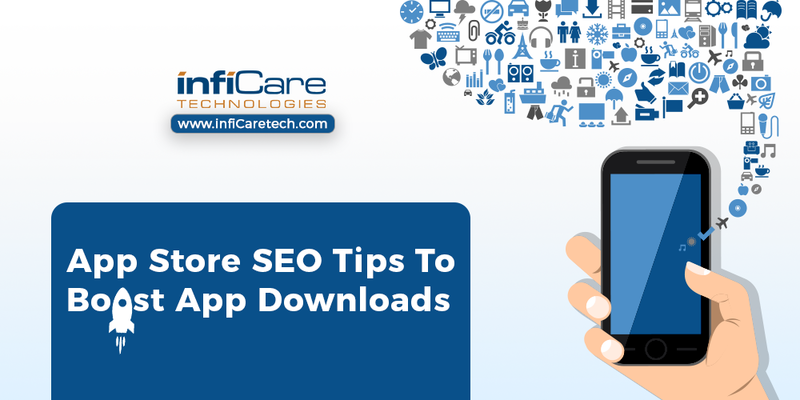 By doing so, your app would receive the massive app downloads rate in few days of app launch. This is amazing! A process wherein, you can improve the mobile app’s visibility in the store by optimizing each metadata element (app title, description, keywords, screenshots, etc.) according to the store and updated trends. The main aim of ASO is to make the app more visible in the charts and to increase its discoverability. This will help your audience more likely to find the app in the store and ultimately the number of downloads will be increased eventually. The above-mentioned points will surely make a difference to your app and its success, but you need to make sure that you partner with the best mobile app development company who are always updated with the required exposure and the experience to make your app concept into a winning marketing strategy. So why wait???? Get in touch today to get your app designed by a renowned app development company.